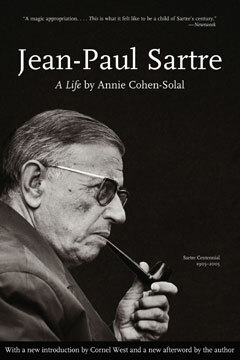 The first volume in the Lives of the Left series, Annie Cohen-Solal’s Sartre is a remarkable achievement. “A sensation” upon its initial publication in France, as the New York Times reported, Sartre was subsequently translated into sixteen languages and went on to become an international bestseller, appealing to the broadest audience. First published in the United States in 1987, it is the definitive biography of a man and an age, an intimate portrait of a complex life. A major accomplishment of this biography is that it places Sartre in the context of history while at the same time reassessing the full import of his literary and political accomplishments. Discovering untold aspects of Sartre’s private and political life, Cohen-Solal weaves together all the elements of an exceptional career. From the fascinating description of his hitherto-unknown father to the painful last moments of Sartre’s own declining years, this is biography on the grandest scale, fully deserving of the praise it has received.